It is no secret that the Infosec industry is predominantly male, with almost 90% of employees being men (according to a recent survey.) But even as we write this post, things are slowly changing and there is more talk about the “gender gap” than there is about the “skills gap” (a quick question for an industry filled with bright minds – if there is a skills gap and not enough male employees to fill it, doesn’t it make sense to recruit and train more women?) At least in our small company, things are very different. In fact, at SenseCy, women comprise over 50% of the workforce and we are recruiting more every month. We gathered our female cyber analysts for a joint interview to discuss their views on the industry, the challenges they face and to decide once and for all why should women find Infosec interesting? Meet Tanya, our cybercrime analyst; Tatiana, our OSINT analyst; Hila, our hacktivism analyst; Sheila, our customer relations manager; and Gal, our technological projects manager. Most of us agree that we like working in this dynamic field, where we find ourselves learning something new every day. It is exciting to work in such a fast-paced environment. We love accumulating more knowledge and feel that each feed, project, post, etc. contributes to our understanding of the field. We also love that everything we do here is also relevant and applicable to our personal daily lives. “Even” the technical stuff is becoming more interesting to those of us who do not have a technological background as it is put into context and the more we learn, the more interesting it gets. We also feel that we are part of the “good guys” (/girls), fighting for a good cause. Do You Think You Are Viewed Differently As a Woman Working in This Industry? While we agree that it is true that most computer classes are taken by boys, and even though most of us come from Intelligence and have less of a technological background, we still take courses and learn all the time, so it is not something that is “impossible” for women to learn. On the contrary, there is so much information, so many forums, blogs and tutorials, where one can learn and ask questions. Information is readily available for those having the motivation to learn. As evidenced in our team composition, “Cyber” is a very broad term and there are many different opportunities in the field for people with different expertise and backgrounds. There is no doubt that men and women are viewed differently. There are subtle assumptions that we all make, even if we are not fully aware of them. So it is important to be more aware of our behavior and underlying assumptions. Therefore, such posts and conversations can raise awareness and contribute to advancing women in the field. It is sometimes a matter of perception – when we think about an Infosec professional, the image that comes to mind is that of the uber-geek typing complex code lines on the computer. But this could change to accommodate other images that include women. This could change the mind-set of girls and women pursuing a career path in Information Security and also the perception of employers of possible candidates for the job. Nine-to-five working hours are outdated and managers should look at achievements at work rather than just the hours employees put in. Unless there is something urgent, our managers do not mind when and where we do our job, as long as we do it well and meet deadlines. Do We Actually Need More Women in Cyber? And if so, How Can We Encourage Them to Join Us? Tatiana says that the requirements for the job are sometimes very high and it is not suitable for everyone. You have to invest a lot of time studying and always stay updated on what is going on. Hila says we need more people in general in IS, while Tanya thinks it is best to have a 50%-50% work environment. Cyber security is a problem in all sections of the population and in different industries, so we must all be aware of the dangers. 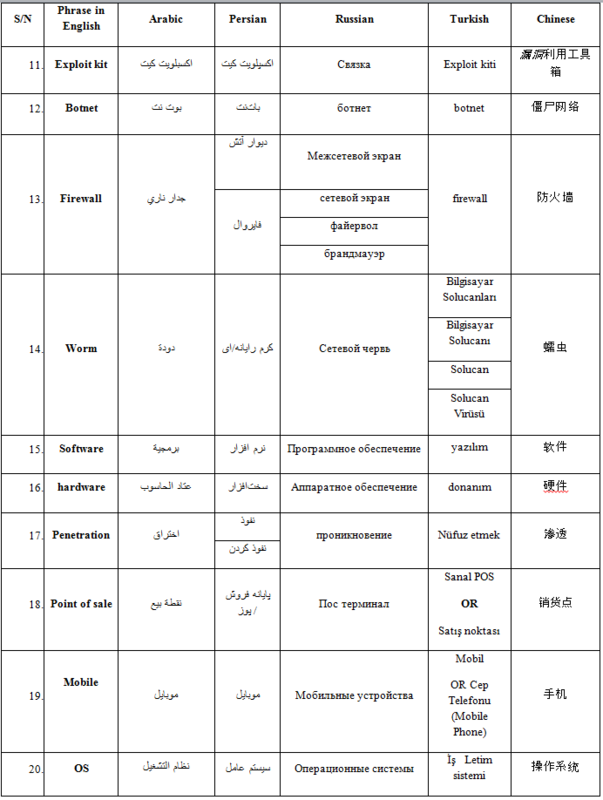 We recently published the first section of the terms table and felt it was insufficient, so we are following up with the second section, delving deeper into the underground cyber world of illicit trade, hacking and malware. We are looking for two analysts to join our growing Cyber Intelligence Team: Native English Speaker (JB-309) and Technical Security Analyst (JB-311). Please send your CV to careers [at] sensecy.com (and indicate the job number). On May 14th we brought you a report regarding hacktivists threatening to wage cyber attacks against the Brazilian government and FIFA. This time, we are publishing yet another World-Cup-related post, but from a slightly different angle. 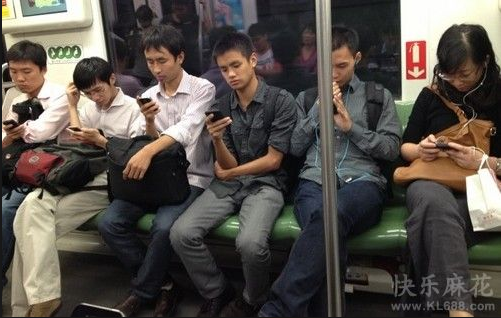 China, the world’s most populous country, is also the world’s leader in terms of number of cellphone users. The smartphone revolution did not skip China, and oh boy did it make an impact! Chinese people love their phones. No, Chinese people are obsessed with their phones might be a more precise choice of words. As you probably know, Chinese cities are not small (quite an understatement! ), and commute time has to be killed somehow. That’s why riding the subway in China, except for being overwhelmingly crowded at times, is also just the perfect timing for many passengers to indulge in intensive game-playing! 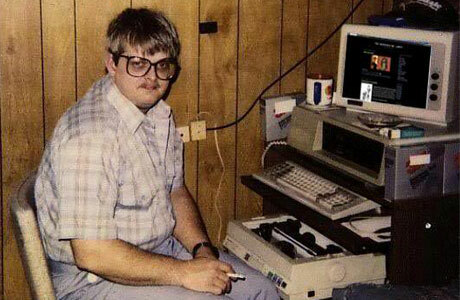 While some prefer to fiercely ride a digital motorcycle, shoot intruding aliens, or grow vegetables in a farm, others have a liking for sports games, perhaps as a compensation for rotting in front of a computer desk all-day-long. The latter will inevitably come across a bundle of World-Cup related game apps available on all application markets. World-Cup is a buzz-word, no doubt about it, and as such, it attracts not only the gamers’ attention, but the hackers’ as well, and the Chinese hackers know their onions, all right. They leverage the buzz and try to con unwary mobile users into downloading and installing infected apps. The hackers use the “repacking” method – they download a legit and innocent game app, plant a malicious code within it, and upload it once again to the app market, or to a forum. The compromised app looks just the same – it has the same icon, its name is almost identical, and the user has virtually no way of noticing any abnormality after having it installed. Actually, this is not the first time we see this method being practiced – Chinese hackers use just the same mischief whenever a national holiday is being celebrated, a major event (be it national or international) takes place, or just when some application garners a lot of popularity. There is a famous story in China about a farmer in the Spring and Autumn Period (approx. 771 to 476 BC) who was working in the fields, when a rabbit was running by and suddenly dashed into a tree stump. The joyful farmer brought the dead rabbit home and cooked it for dinner exclaiming that there is no need for him to work any longer, as he can simply sit by that stump and wait for more rabbits to knock dead into it. This story gave birth to the idiom 守株待兔(literally “to watch the stump and wait for rabbits”) meaning “to trust chance and luck rather than go working”. 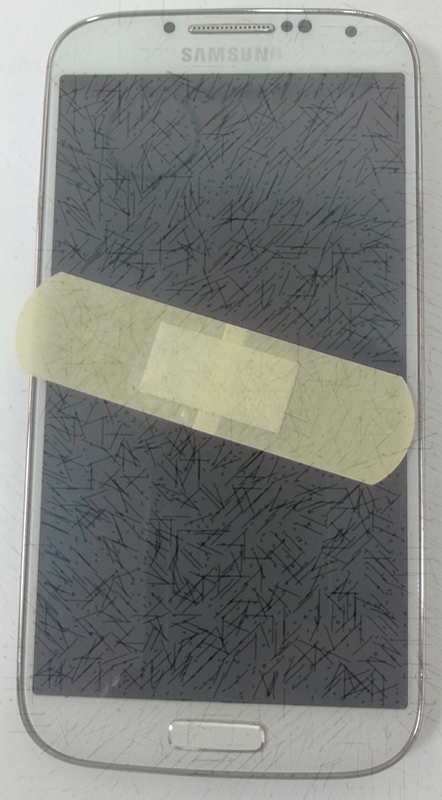 The Chinese hackers who use this “repacking” method are just modern lazy farmers, patiently awaiting unlucky mobile-users to fall prey to their hands. Even though this post is China-focused, it is important for you to bear in mind that this “repacking” method can be easily implemented anywhere. We urge you to download applications only from official sites and app-markets, and to install an antivirus on your mobile device. And with all that being said, we wish safe-gaming to all World-Cup enthusiasts, and good luck to all participating countries! Hi all, it has been a busy month for us here at SenseCy and it’s time to share a quick update of what the team has been up to. 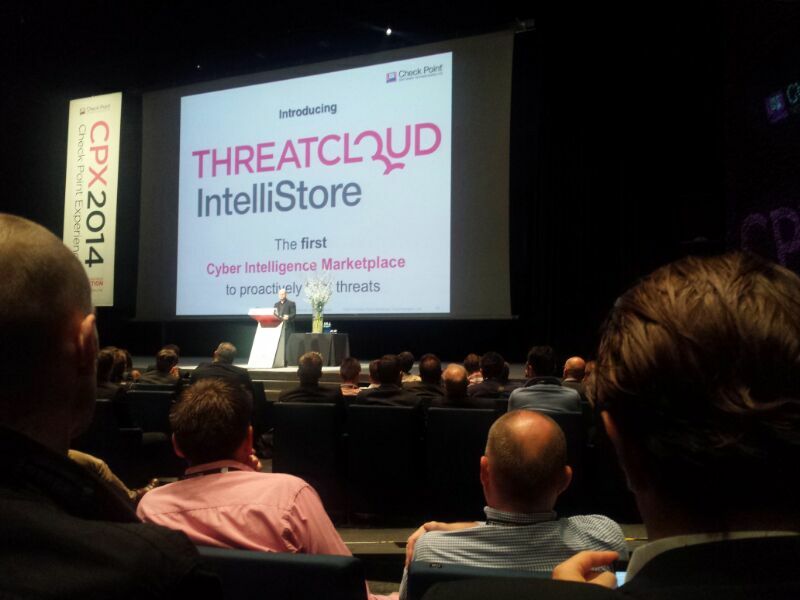 We have participated in Infosec Europe conference, held in London (read all about it here), and in the GOVSEC conference in Washington D.C. where we’ve met with industry leading vendors and potential partners. Following these we ventured to Barcelona to participate in the Check Point Experience (CPX) conference, where it was announced that we, along with six other prestigious vendors, will be taking part in the Check Point’s ThreatCloud Intellistore, which will allow us to offer our intelligence feeds to Check Point’s massive clientele. Later this week Mr. Assaf Keren, our CTO, will deliver a speech about Cyber Intelligence at the Cybercrime Security Forum 14, held in Hilton Cyprus, Nicosia, followed by a talk by Mr. Gilad Zahavi,Director of Cyber intelligence at ISS World Europe, Prague, where he will present SenseCy methodology for tracking hackers using Virtual HUMINT methodology on June 4, 2014. Last but not least we have some very exciting personnel changes – this month we have welcomed Dimitry, our Director of Technical Intelligence, and Nir, an analyst who will be handling the Chinese arena. Ms. Sheila Dahan will be taking the role of Customer Relations Manager and will assist the sales and marketing various activities. Stay tuned for more updates. SenseCy will be present at GovSec/Trexpo (May 13 – May 14, Walter E. Washington Convention Center, Washington, DC) at the Israeli Pavilion (#2223). Come by and learn about our Cyber Intelligence solutions. GovSec is the nation’s premier event for Government, Homeland Security, and Law Enforcement professionals looking for proven strategies and cost effective technology so they can achieve their mission of protecting our critical infrastructures, key assets, communities and the nation. GovSec features TREXPO, the definitive law enforcement conference for tactical training, equipment, technology, and services for law enforcement which offers products that empower law enforcement to fulfill their role as the first line of defense against threats to their communities and agencies. Why Scaring Is NOT an Effective Technique for Increasing Cyber Security? Regardless of the actual severity of this flaw, two things come to mind when analyzing the public and media’s behavior regarding Heartbleed. The first is that the media is thirsty for cyber-related stories, and is willing to blow any story out of proportion just to make the headlines – especially if it can be said to be “relevant to everyone” and “puts us all in danger.” But this is not surprising – there is a very unhealthy relationship between the media, the Cybersec industry and the public – each doing its share to evoke panic and misinformation. What I find more disconcerting is that some people and organizations use such incidents to increase awareness of cyber threats and turn this into a call for action. While there is nothing wrong with raising awareness, I do believe that using it too much – i.e scaring people – achieves the opposite effect. Want an easy way of verifying this? 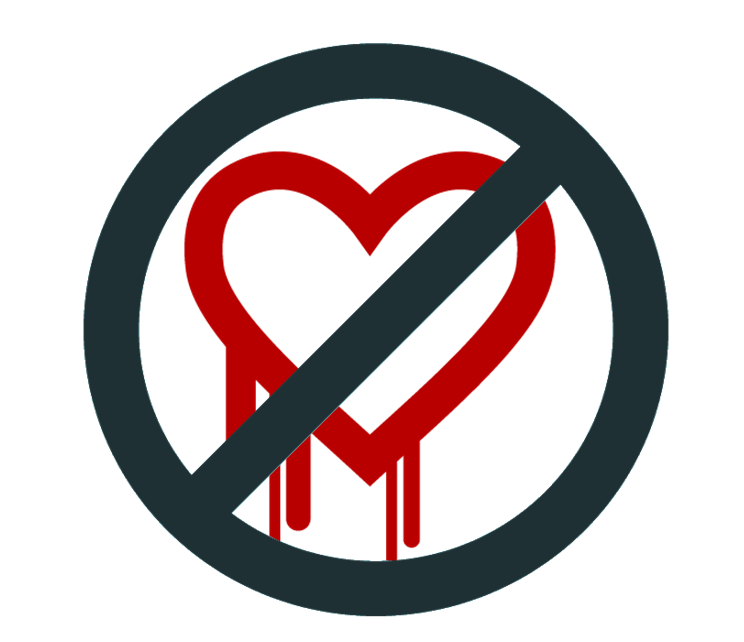 Just ask the people around you (normal folk, not industry techies) if they have heard of Heartbleed. Many of them (especially in the U.S.) will probably say yes. Then ask how many of them have changed their passwords as a result of this being made public. I can almost guarantee that the answer will be zero. The explanation for this is simple – when people are presented with a catastrophe, they tend to do absolutely nothing. If nothing is safe anymore, than why bother doing something? And that is exactly the problem. By creating panic, we also create apathy, when we should evoke emotion and move people to act – seek professional advice, check their systems for breaches, whatever. We should be stating very clearly the REAL threats and the REAL remedies, even if they make less appealing headlines. Only then do we stand the slightest chance that the “Average Joe” will stop, listen and act differently than before. “Make them aware, not scared” should be our motto. 1 Comment Why Scaring Is NOT an Effective Technique for Increasing Cyber Security? The #OpIsrael Birthday campaign took place as scheduled on April 7 and involved thousands of participants from all over the Muslim world, from Indonesia in the East to Morocco in the West. The following presentation by Gilad Zahavi, SenseCy Intelligence Director, summarizes the campaign and offers insights into the participants characteristics and tactics, and predictions for future campaigns. On March 20, Twitter was banned in Turkey by the order of the Turkish Government, owing to the dissemination of an audio clip about the corruption of Turkish Prime Minister Recep Tayyip Erdoğan via Twitter. The authorities inundated Twitter with hundreds of court rulings ordering them to remove the content, but Twitter has yet to respond. Twitter users reliant on local Internet providers who attempted to log onto Twitter were redirected to a page showing the court’s decision. In response, users changed their DNS servers to international providers such as Google’s DNS service and OpenDNS. This appears to be a good method for bypassing the censorship. 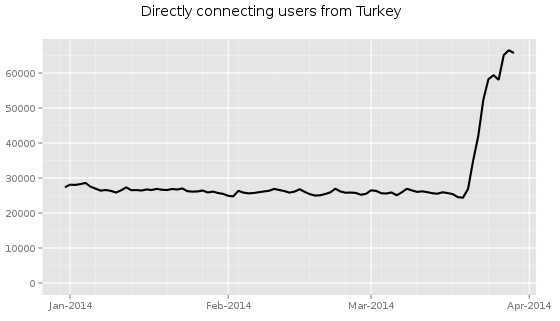 Following the ban, Twitter usage in Turkey increased 138%! On March 22, the government blocked Twitter’s IP address in order to thwart those using international servers from accessing the site. 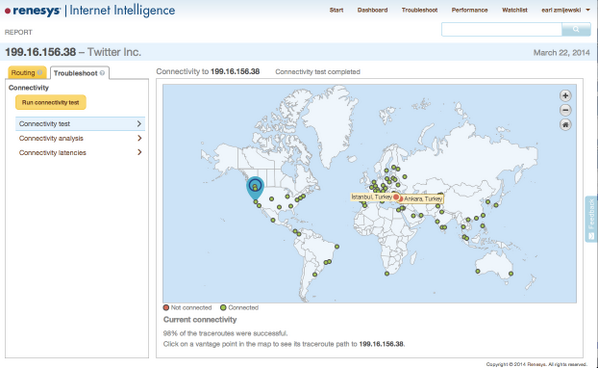 Turk Telekom’s hijacking of the IP addresses of popular DNS servers is a very worrying development because it may help the Turkish government to intercept traffic and spy on the Turkish population.